Once upon a time, tattoos were something only sailors and people of the underworld got. But nowadays, increasingly more people decide to decorate their skin with tattoo art. As a result, there is an increasingly growing need for good tattoo photos. If you have ever tried to take such pics, you might have noticed that it's not as easy as it initially seems. Today's article will give you 5 simple tips for stunning tattoo photography. We need to differentiate between Tattoo Photography and simply photographing a tattoo. The latter is nothing but quasi-documentary macro photography, really (unless if the tattoo covers the entire back of someone). What I mean by that is, when you want to simply take a photo of a tattoo, whether because you're a tattoo artist documenting your work or for other purposes, there isn't much complexity. You simply have the person stay still, throw plenty of even, soft light on the tattoo (watch out for unwanted reflections), and you take the photo. Simple. But that's not what you came here for, right? 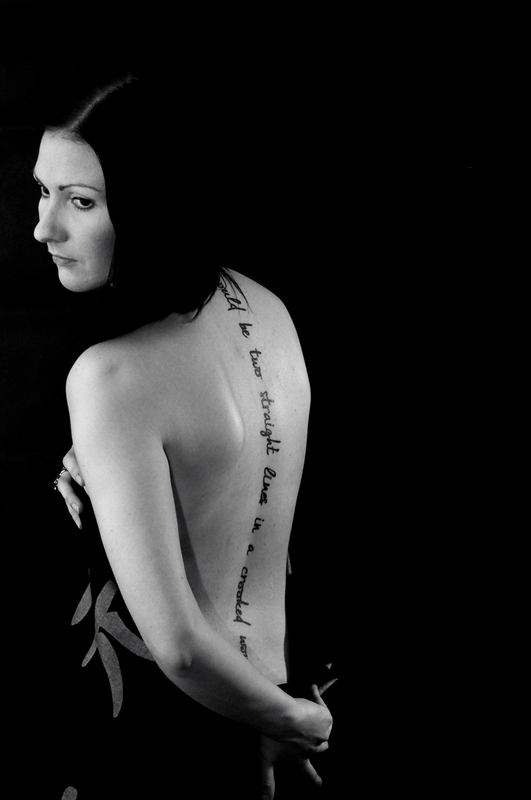 Tattoo Photography is more than simply taking a photo of a tattoo. The goal, as with every portrait photograph, is to portray feelings, emotions, and thoughts - the tattoo simply has to become a part of this framework. Think of it as taking a photo of a painter with her brushes, a basketball player with his ball, or a rally driver with her helmet. It's just like with any other portrait, only you have to show the tattoo - or part of it; don't become preoccupied with showing the entire tattoo. Remember, you're not taking a photo of the tattoo, and you're not even taking a photo of the person. Rather, you're taking photos of what the person thinks and feels. Why did the person take this tattoo? What does it mean for them? As always with portrait photography, spend some time to talk to the person you're about to photograph. How can you capture feelings and thoughts, if you don't know what these are?! The answers you will be getting will help you make decisions on both capturing and processing the images. Technicalities, Part I: Black and White or Color? Unlike general portraiture, tattoo photography entails a more specific decision-making regarding the use of colors (or not). If the tattoo itself is very colorful and creates contrast based on color, your images should try to capture this - the artist put the colors there for a reason. Idea: you can also consider, if the context allows it, to create a black & white image with only the tattoo colors remaining. It's a bit of a cliche, but for a reason. 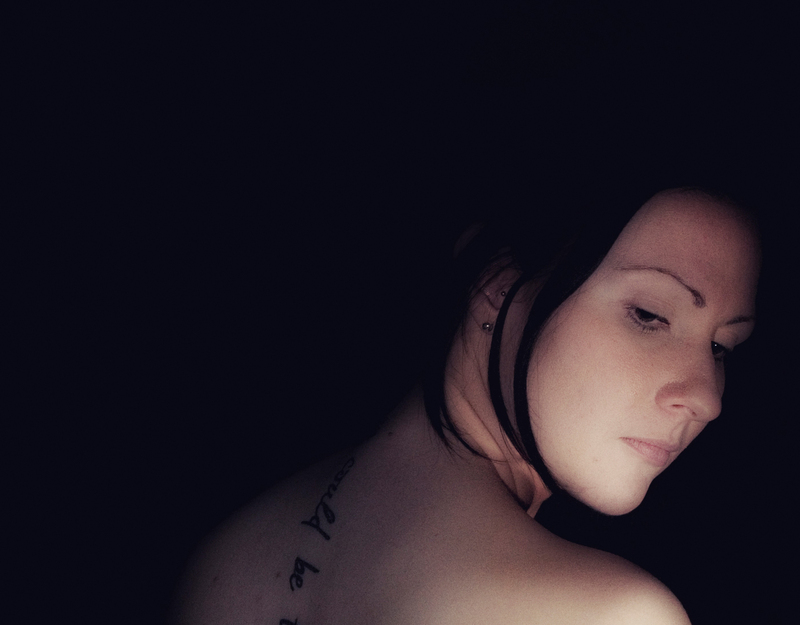 Lighting is an important part of tattoo photography. It should be in accordance with your photographic vision (i.e. what you're trying to achieve), while allowing for the tattoo to be visible. And also remember: your lighting setup must be also connected with the post-processing that will follow; you must have a very clear plan from A to Z regarding on what kind of images you want to produce. If the skin gets sweaty during the photoshoot, wipe it with a napkin so that it won't shine. (reverse tip: use a water spray to create droplets on the skin surface for a nice close-up!) Flashes, in particular, reveal very small sweat droplets. If you photograph women who need to take their clothes off for the photoshoot, allow a few minutes for the skin to lose the redness from tight clothing.